Mr K Korhan Yıldırım is a partner at ELIG Gürkaynak Attorneys-at-Law. Mr Yıldırım graduated from Galatasaray University Faculty of Law in 2005 and was admitted to the Istanbul Bar in 2006. He has been working with ELIG Gürkaynak Attorneys-at-Law for more than 13 years and has been a partner in the competition law and regulatory department since January 2014. Mr. Yıldırım has extensive experience in all areas of competition law including cartel agreements, abuse of dominance, concentrations and joint ventures. 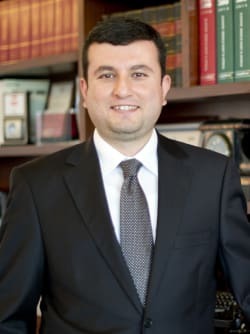 He has represented various multinational and national companies before the Turkish Competition Authority, Administrative Courts and the High State Court. Mr. Yıldırım has given numerous legal opinions and trainings in relation to compliance to competition law rules. Mr. Yıldırım has also authored and co-authored many articles on competition law and merger control matters, and is a frequent speaker at various conference and symposia. He is fluent in English and French.